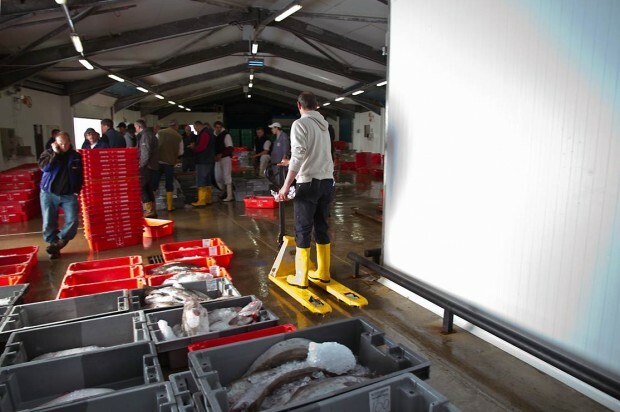 This field trip started with an early morning visit to the fish auction at Newlyn, led by Nick Howell, owner of The Pilchard Works, followed by breakfast in the Seamen’s Mission. 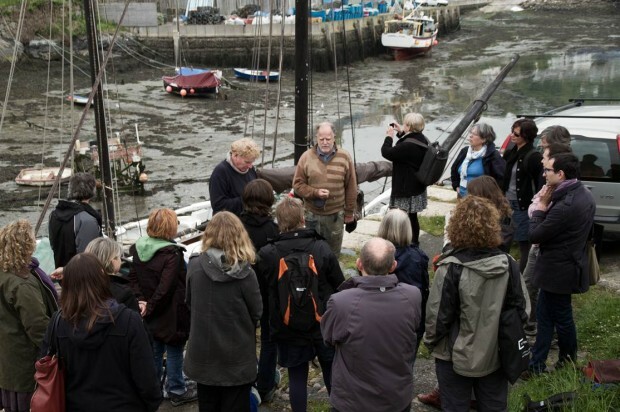 The walk from Newlyn to Mousehole was led by Iain Boal, joined by a number of knowledgeable local residents along the way. 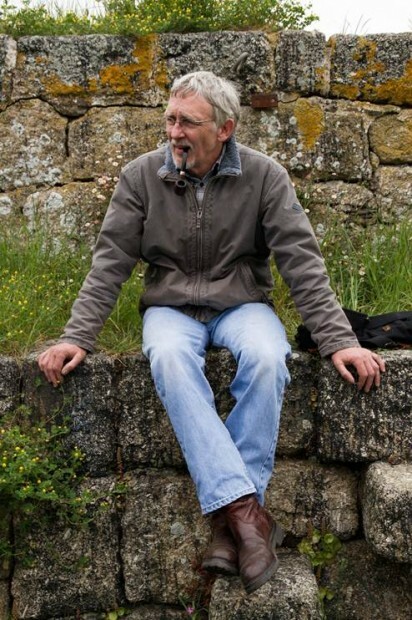 Photographs by Chris Jones, captions by Hadrian Pigott. 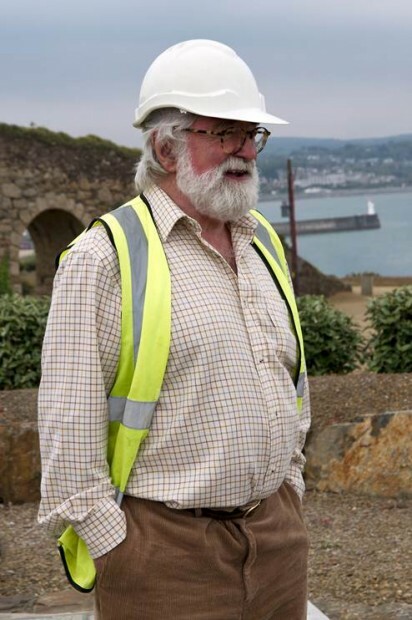 Iain would like to thank Edward Iliffe and Professor Geoffrey Walton of MDL Ltd for making the Penlee Quarry site available for the group and for taking the time to carefully present their plans for the future. 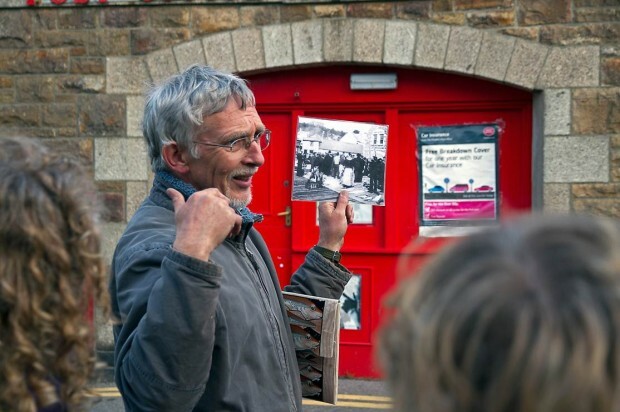 Nick Howell of the Newlyn Pilchard Works gives a historical introduction to the area – outside the old fish auction building. 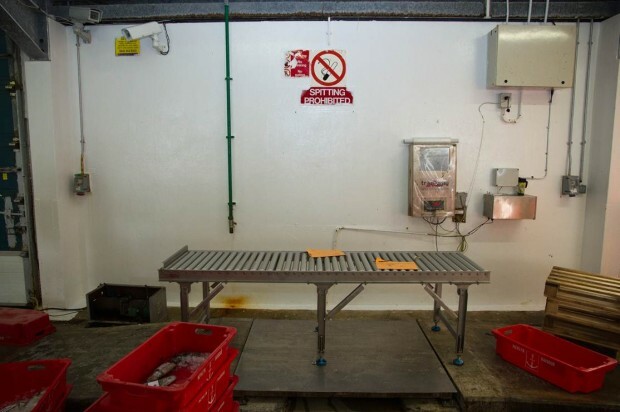 Inside the current fish auction sheds – 7.30am. 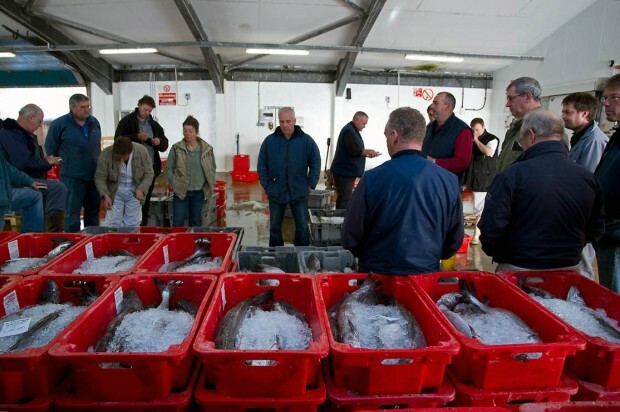 Nick Howell explains the myriad pressures on the present day fisherman and how the auction works. 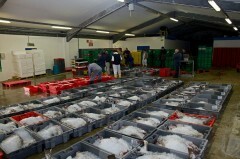 Fishermen and wholesalers gather around the auctioneer. 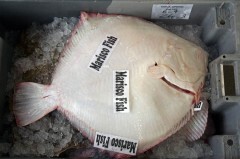 Beautiful fresh fish and the name of the purchaser. 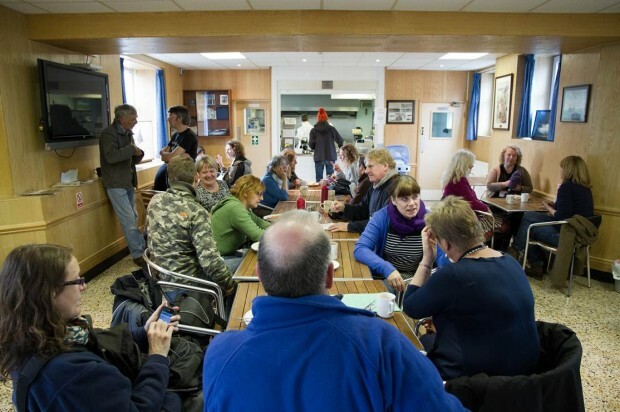 Breakfast in the Fishermen’s Mission café. 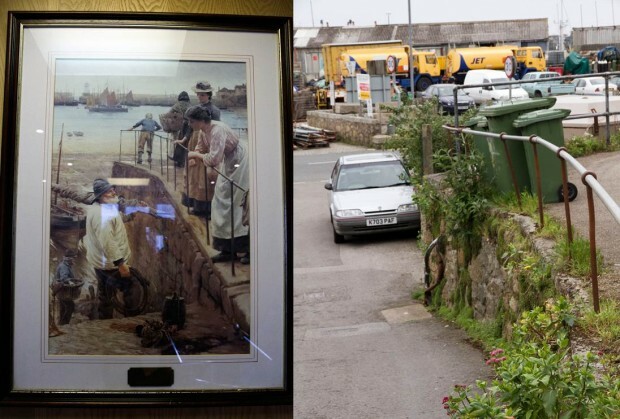 Then and now – the old quay steps by Stanhope Forbes and how it looks today. 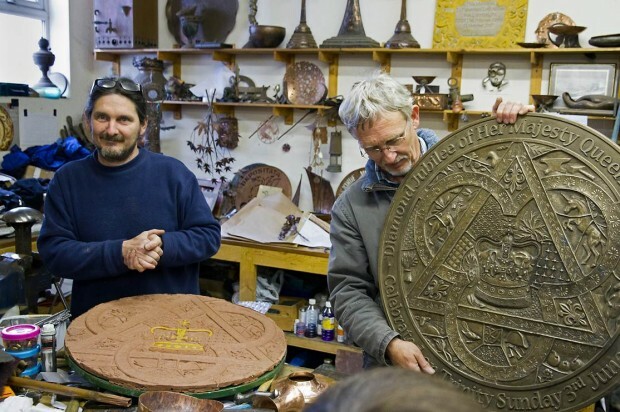 The Copper Works Newlyn: Michael Johnson, with Nick Howell holding up a recent commission. 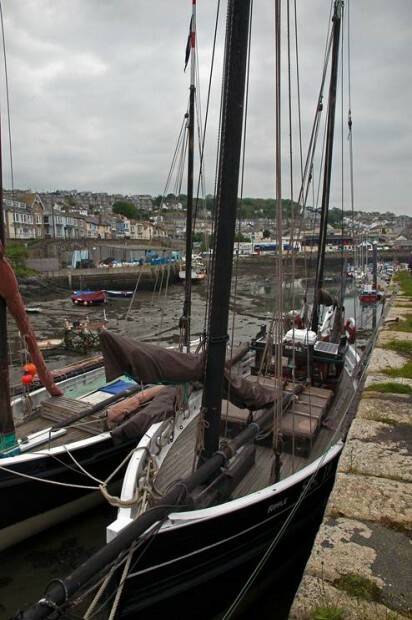 Cornish Luggers – the Barnabas and the Ripple on Newlyn old quay. 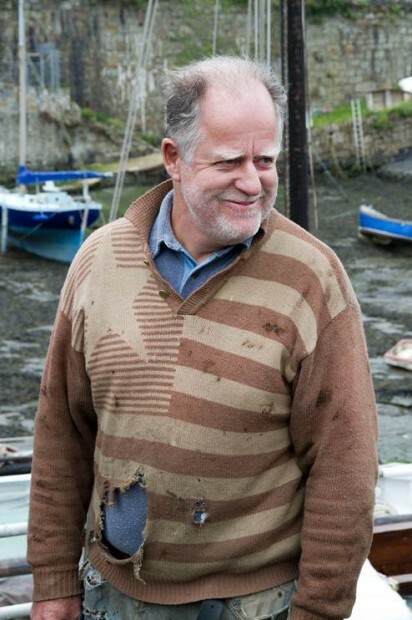 John Lamborne of the Ripple explains the history of his boat. 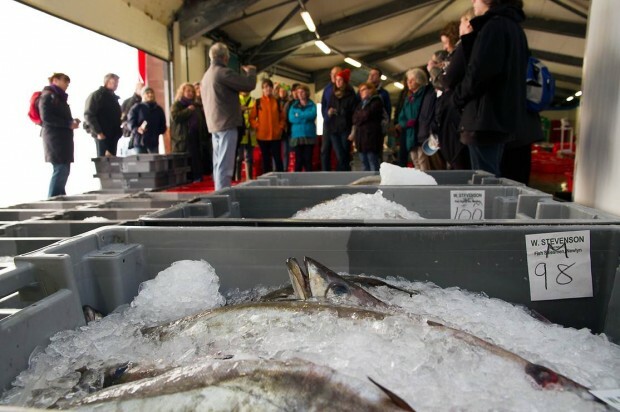 John discusses ideas for sustainable fishing practice and the relevance of keeping old traditions alive. 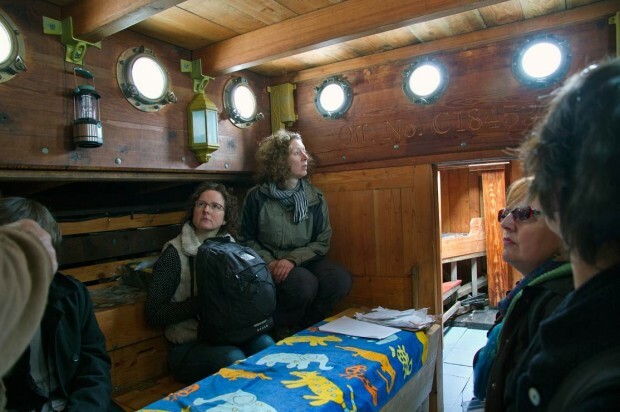 Below decks on the restored and converted Ripple. 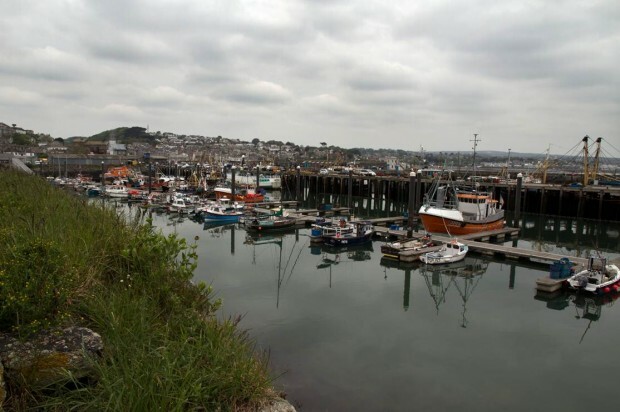 Newlyn Harbour from the Mousehole road. 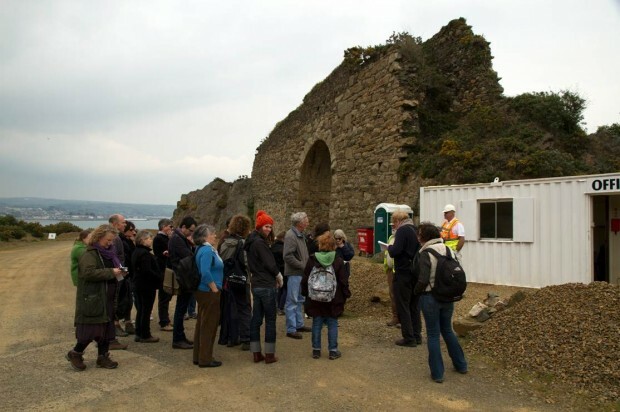 The group arrives at Penlee Quarry for a Health & Safety briefing. 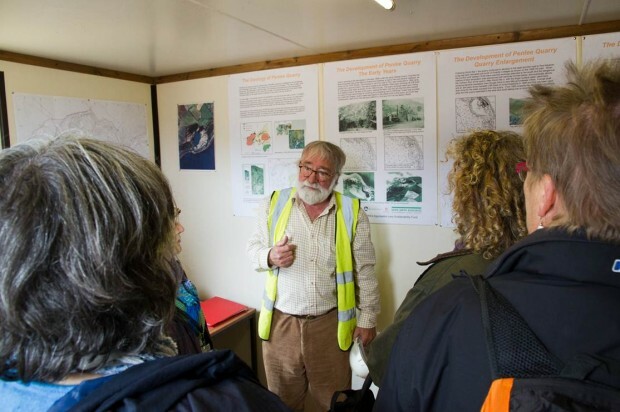 Professor Geoffrey Walton explains the local geology and the suitability of the metadolerite rock for ‘armourstone’ to be used in local coastal protection and breakwater works. 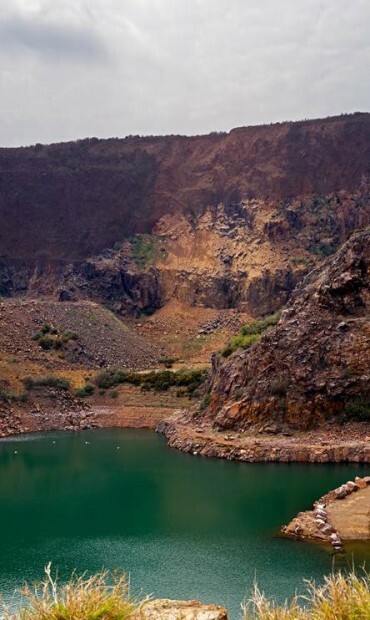 Recent rock falls have led to closure of a footpath and a local dispute. 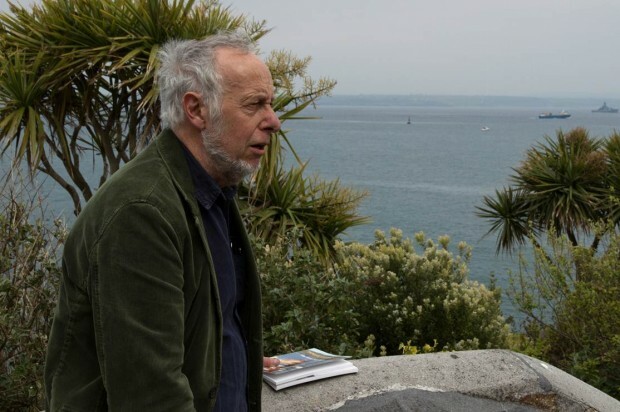 Professor Walton answers questions on the history and future plans for the quarry site, which include a marina, maritime facilities and housing. 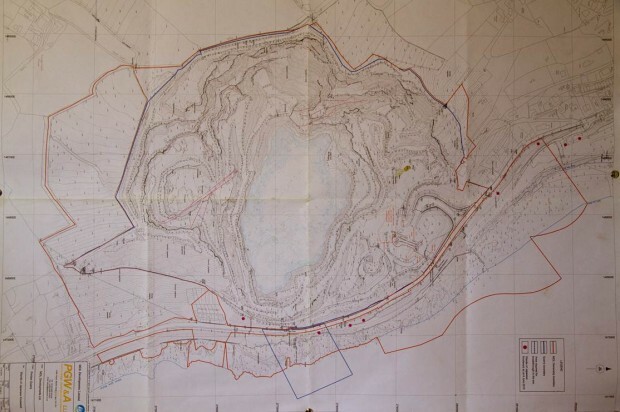 Current plan of Penlee Quarry. 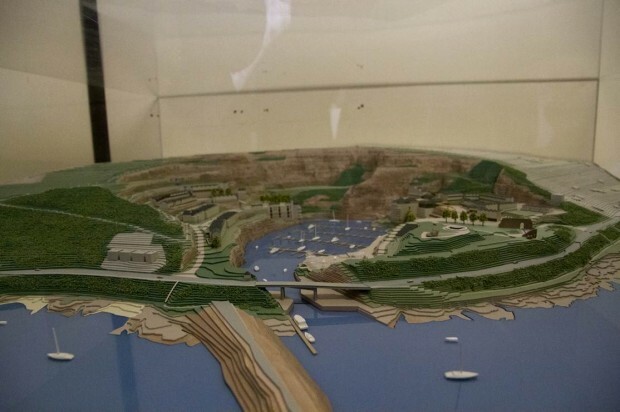 Model of the proposed marina development and connection to the sea. 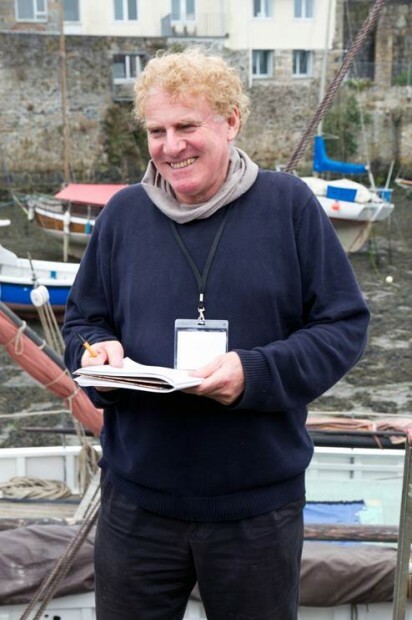 Standing above Penlee Lifeboat Station, writer and historian Mike Sagar Fenton describes events leading up to the 1981 Solomon Browne disaster, a maritime catastrophe that changed a community for ever. Mousehole itself is a pretty village, which until the 16th century was a principal port on Mounts Bay, and is renowned for its atmospheric harbour. 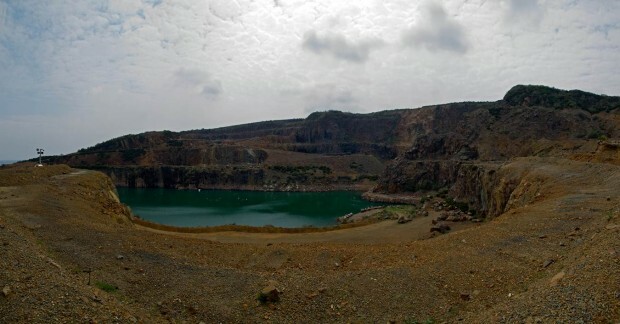 But in the last few decades the village has seen a dramatic rise in second home ownership and a corresponding decline in its resident population and so forms a location for a discussion about the positive and negative impacts of tourism. 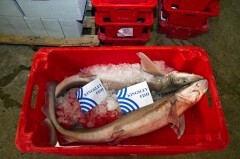 Read more about this field trip in the Programme listing and view Iain Boal’s report. 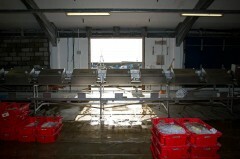 View John Hartley’s photos of the field trip.